65m x 45m with Combi-ride Fibre/ Sand surface. 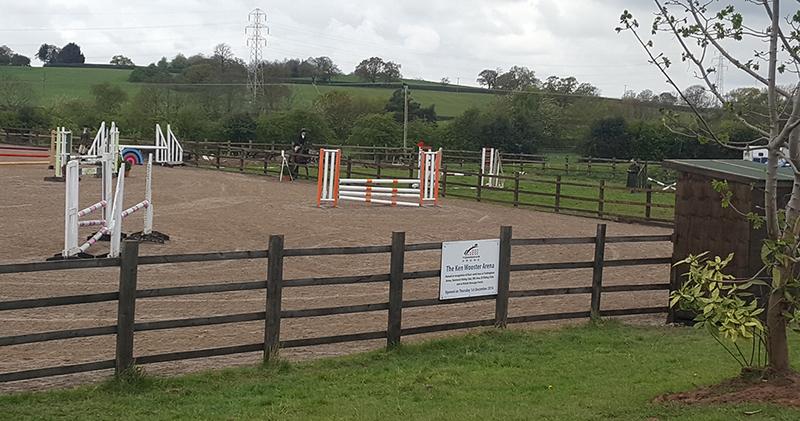 This arena has been completely reconstructed to provide an excellent all weather riding surface. Arena is equipped with a full Set of BS spec show Jumps. 63m x 30m with Combi-ride Fibre/Sand surface. 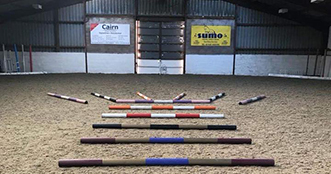 Tushingham Arena acknowledge the support of the European Agricultural Fund for Rural Development for the financial support for the new outdoor surface. 50m x 20m indoor arena with a top quality waxed fibre mix riding surface, a viewing corridor, judge’s box, excellent natural light through perspex paneling and the option of electrical lighting (coin fed). 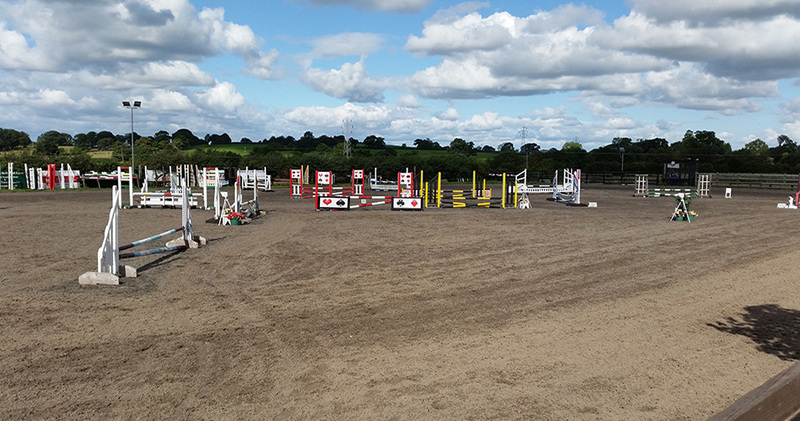 » Large hard standing car park providing easy access in and out of Tushingham Arena, even on busy show days. » Training room, cafe and toilets on site. » Hot and Cold refreshments available at all shows. All facilities are available to hire. Contact us for further details and rates.